Structural analysis of carpets with an emphasis on Afghan tribal rugs: pile structures, selvedges, kilim ends, closures, and fringe. This entry was posted in Rug Structures on June 17, 2009 by Kevin. 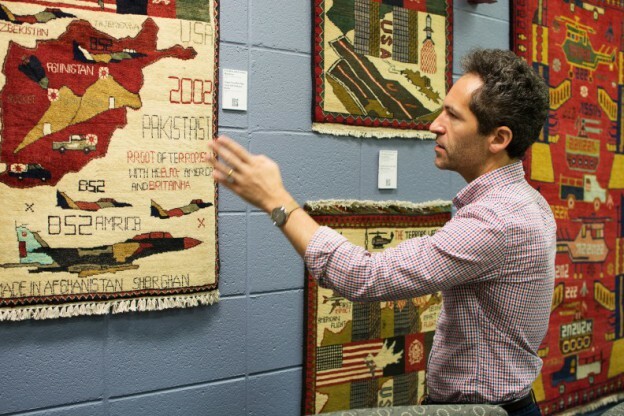 Here are four rugs woven by two weavers of one pattern. 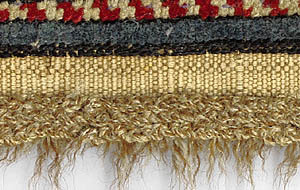 The two pairs have distinctly different structures and materials, but each pair’s material, color, drawing, border, handle, knotting, and selvedge is consistent. Note inverted red helicopter in Camel 1. Interestingly, in Murray Eiland’s Oriental Rugs, 1976 edition, on page 83 is a rug of this design attributed Shindand, mid twentieth century. 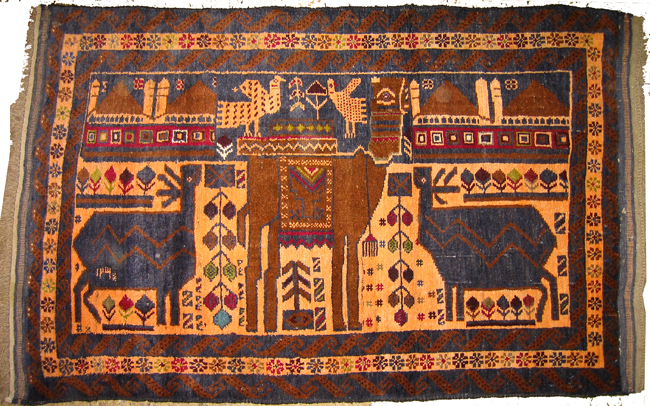 This entry was posted in Baluchi Patterns, Rug Images, Rug Structures, The Weavers on June 8, 2007 by Kevin. Warrug is looking for essays for its series of upcoming publications. Please contact warrug.com with ideas if you are interested. This entry was posted in Baluchi Patterns, Regular Rugs, Rug Images, Rug Structures, The War, The Weapons, The Weavers on April 12, 2007 by Kevin. End Finishes Project is really amazing. This entry was posted in Rug Structures on July 30, 2006 by Kevin. This entry was posted in Rug Structures on January 22, 2006 by Kevin.